As a horticultural sales association to promote the sales of azaleas, ericas, camellias and callunas Marktverband Bremen was founded in 1963, back then as a registered association only. Later the transformation to a Limited-company followed and export-sales tooks its course. Our location in Bremen is the ideal basis for exporting heather-products globally. 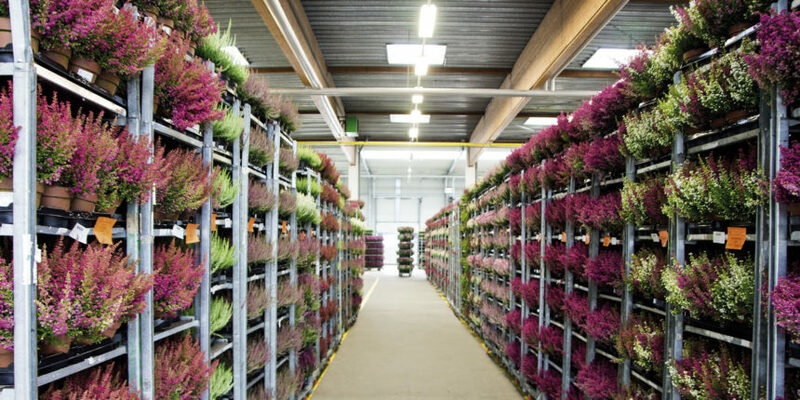 We are happy to support our suppliers with theirs sales transaction, so they can concentrate fully on producing high quality plants. Year after year Irish heather, Daboecia, is ringing in autumn season. And this is only the beginning. Erica cinerea are at their marks, getting ready and then Calluna-dispatch can start. Accompanied by Erica gracillis and other plants. Amongst many ericaceous plants, we can also surprise you with many companion plants: Calocephalus, Gaultheria, perennials and much more. With Erica darleyensis, English Heather, we can end the heather-season spring the next year.